Managing the drainage of your property is extremely important. 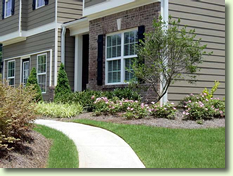 We’ll assess your needs and do what’s necessary to be sure that water moves through and out of your property properly. This can mean digging and putting in black pipe and collection boxes. We also install gutters. And when it’s done, we finish off your property so it’s beautiful again.